In the 560 BC. ,the city was under the siege of Croesus , the king of Lydia. The King granted a major source of funding in order to build the Temple of Artemis, which would unite the peoples in the area. The temple, carrying on the mother goddess cult that prevailed in this land since ancient times, attracted people of belief from all around the world to Ephesus for years. The Temple of Artemis is known as one of the Seven Wonders of the World. 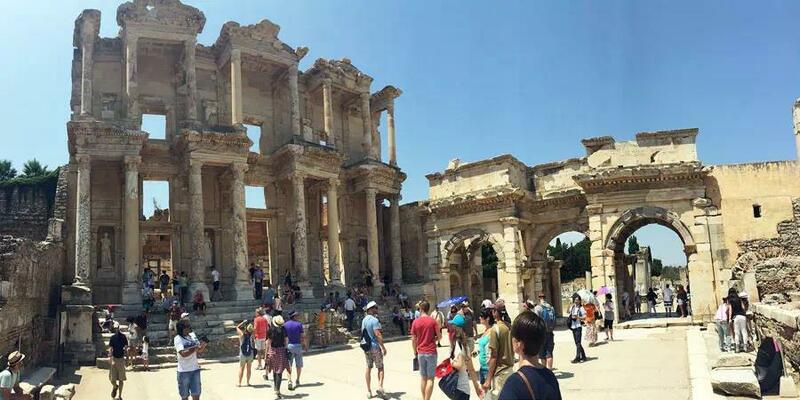 The most important places in Ephesus; Temple of Artemis, St. John's Basilica, Isa Bey Mosque, Seven Sleepers Cave, Ephesus Museum, Ayasuluk Castle and House of Virgin Mary. You can reach more detailed information with the interactive map of Ephesus. 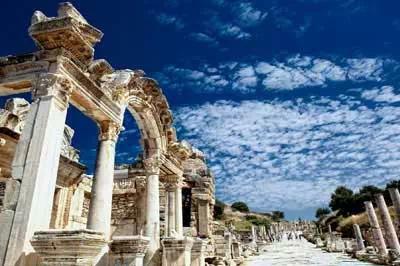 Destinations : Turkey / Ephesus and more.. 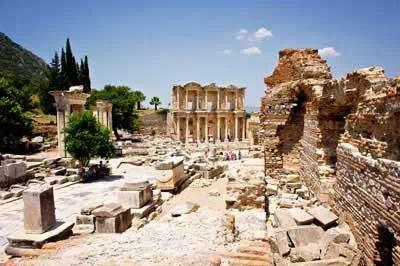 The Ephesus Antique City in Izmir, which is a UNESCO World Heritage Site and visited by 1 million people annually, attracts local and foreign tourists to the region for 100 years. 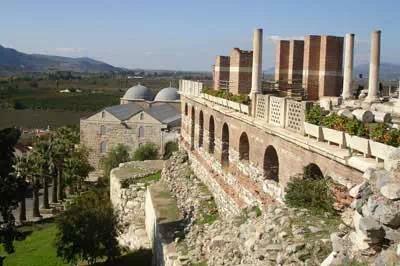 Cukurici Hoyuk, Ayasuluk Hill, the ancient city of Ephesus and the House of the Virgin Mary consisting of 4 components, is considered to be one of the most important centers of the ancient period. Starting from the prehistoric period, the Hellenistic, Roman, Eastern Roman, Principalities and Ottoman periods throughout the period of settled approximately 9 thousand years. 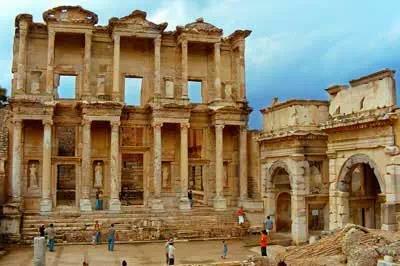 Ephesus, the Hellenistic and Roman period of the superior urbanization, architecture and religious history are symbols that shed light.